Would you like to add a WordPress contact form inside a slider on your site? If so, then you’re in the right place. In this tutorial, we will show you how to add a WordPress contact form in a slider. Once you have activated the WPForms plugin, let’s go ahead and create a new contact form. You can use our step by step guide on how to create a simple contact form. After you’ve saved your form, copy your shortcode. We’ll be using this code later. You can find your shortcode by clicking on WPForms » All Forms. Next, you will need to install and activate the Soliloquy slider plugin. 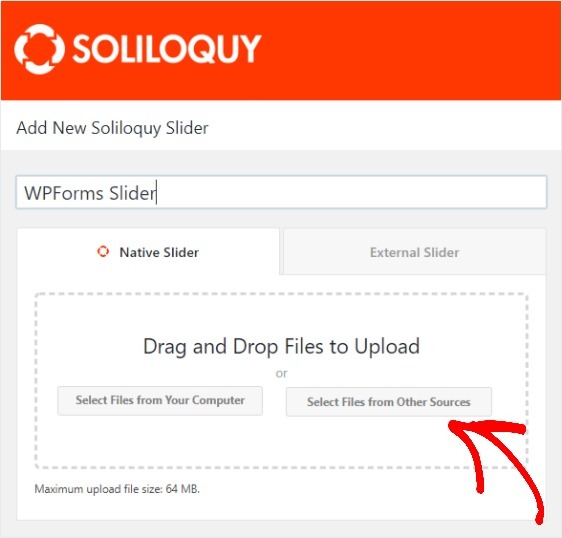 Here’s a step by step guide on how to install the Soliloquy slider plugin. For this use case, you will also need to activate the Dynamic Addon, available with the Soliloquy Developer or Master Plan. 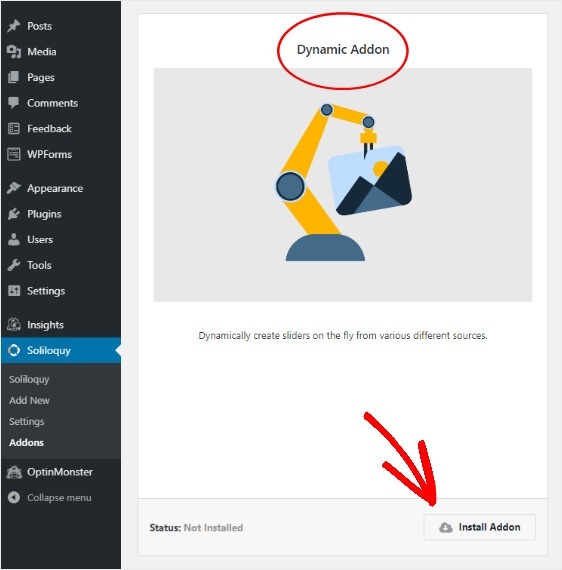 To activate the Dynamic Addon, go to your WordPress dashboard and then Soliloquy » Addons. Then, scroll down to find the Dynamic Addon. Click on Install Addon. 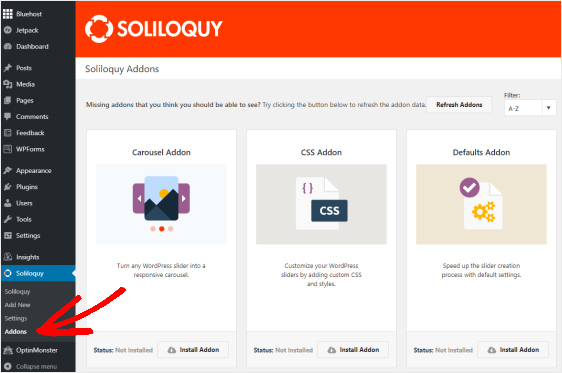 After activation, you need to visit Soliloquy » Add New to create a slider. Here you need to add the WPForms shortcode which you can do by clicking on Select Files from Other Sources. Next, you’ll select the Insert HTML Slide. 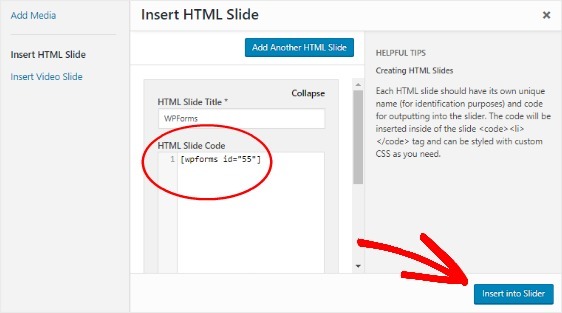 This is where to place your WPForms shortcode and give your HTML Slide a title. Afterward, click the Insert into Slider button. You can also add any additional slides that you want. 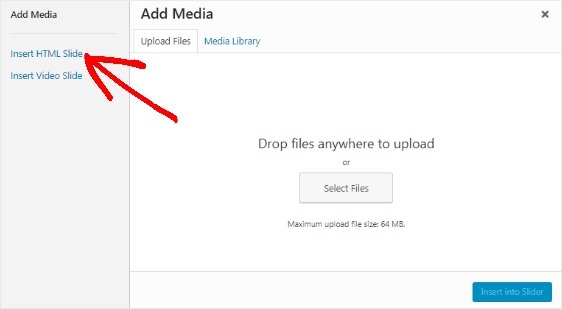 When you’re done, click on Publish. You’re almost done. 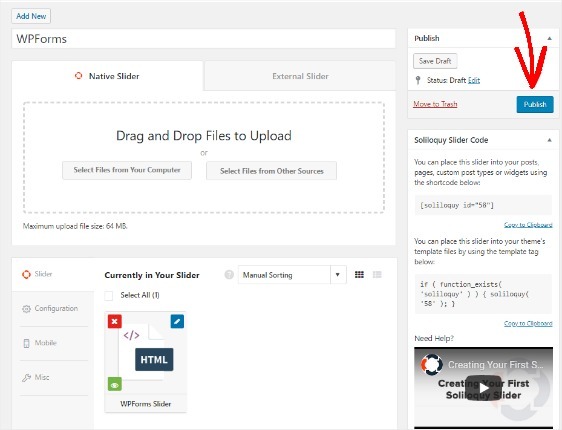 Now it’s time to add your slider to a post or page. Simply edit an existing post/page or create a new one where you want to add the slider. Inside the editing screen for your post/page, click on the Add Soliloquy icon. Next, select your slider from the dropdown. 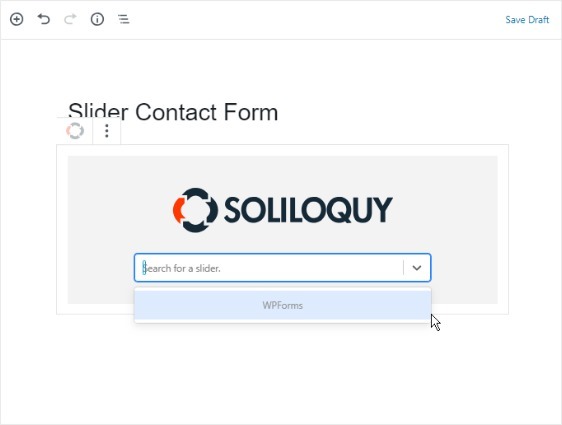 Finally, publish or update your post/page to make your contact form in a slider live. That’s it! We hope this article has helped you learn how to add a WordPress contact form in a slider. You may also want to check out our guide on How to Add reCAPTCHA in WordPress Contact Forms.